With great news these films will finally see the light of day on Bluray, with deleted and out of print versions of these films, especially the 1986 original in the UK, that was briefly released on DVD, then went out of print, and although I love this film, I was not willing to pay £45,00 plus for this movie on eBay, and third party sellers on Amazon. It was such a loved film especially in the UK, that a petition group was set up on Facebook, alongside with a crowdfunding campaign to get the rights for this great movie, and release it finally. And you know it worked, and with great news, Arrow Films are going to not just release House (1986) but all four movies, in a boxset, complete with the usual love and affection they give to all their DVD and Bluray releases. No release date yet unfortunately, but I will put any news of a date as soon as I learn about it. 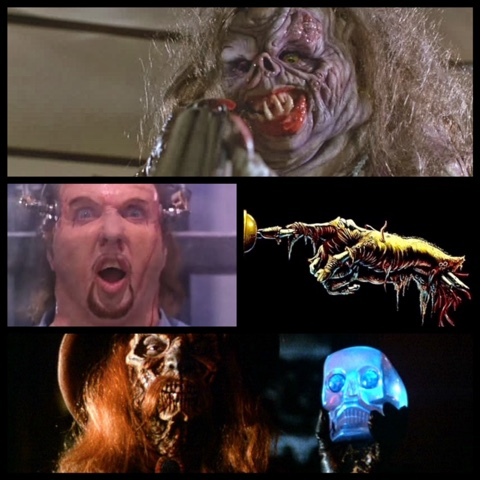 The four movies all produced by Sean S. Cunningham, go from great, to weird, to dam scary and violent to weird again, with really only House and House 3 being the better movies, at least William Katt ( Roger Cobb) returned for House 4 in a brief appearance. If you cannot wait some good news if you live in the UK, or at least have access to TV channels on Kodi, The Horror Channel premier last Saturday 19th November was House (1986) the original and best, I will put a link to the website here http://www.horrorchannel.co.uk/ to find out when it is next on. I watched it last Saturday, and although very eighties and a little dated, it still is a really great movie, that I for one cannot wait to own, although it is on my Sky Tv Planner at the moment.